Hydrotherapy, or in other words; therapy in water focuses on treatments and exercises performed in water. an extremely suitable means to strengthen the rehabilitation process or to increase the quality of life. accessories, EWAC Medical is committed to helping everyone improve themselves in guiding clients and / or patients in water. 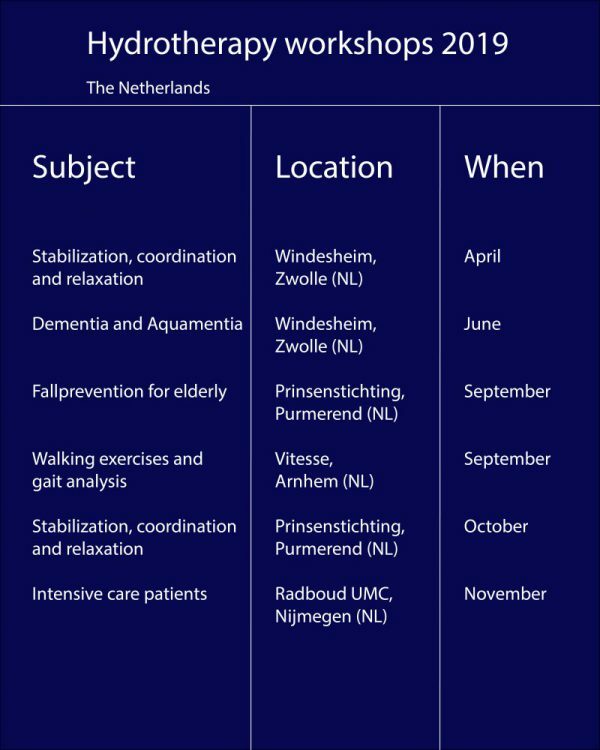 Would you like to participate at one or more hydrotherapy workshops? Stabilization, coordination and relaxation at Hogeschool Windesheim, Zwolle.